President, Government College Ughelli Old Boys Association (GCUOBA), Lagos Branch, Col. D.J. Binitie, rtd (left); Acting President-General Worldwide, GCUOBA, Arc. Charles Majoroh; Chairman, National Dinner Organizing Committee, Mr. Alfred Okoigun and member, National Dinner Organising Committee, Dr. Victor Aganbi at a press conference to announce the forthcoming Annual National Dinner of the association. Government College Ughelli Old Boys Association (GCUOBA) has appealed to Delta State governor, Dr. Ifeanyi Okowa, to completely hand over the school to the alumni body for effective management. Acting President-General Worldwide, Arc. Charles Majoroh, while speaking at a briefing to announce the forthcoming “2017 Annual National Dinner” of the group, said the association had earlier appealed to the government to allow it take up full responsibility of the college, assuring that it would function optimally under GCUOBA’s control. The dinner scheduled for Saturday, October 7, 2017 at the Grand Ballroom, Eko Hotels and Suites, Lagos, he said, will offer the old boys an exciting platform to reunite and discuss the state of affairs of their alma mater in the area of infrastructural development and improving learning outcomes. He said: “A lot has been done in that direction in the last decade but much more needs to be done as we cannot afford to rest on its oars. We have given the government several options on the college including the need to completely handover the college to the old boys. We want to run the college ourselves; we can get the funding and run it effectively keeping our eye on quality for teachers and administrators. It will also help us to ensure full compliance on core values and tradition of the college. Majoroh said Ambassador Christopher Kolade, a one-time teacher in GCU, would chair the dinner. Okowa is the special guest of honour; Lagos State Governor, Mr. Akinwumi Ambode, the Chief Host; Minister of Education, Prof. Adamu Adamu and many other dignitaries, he added will grace the occasion. Also, Dr. Chris Uwaje, Coordinating Chairman, Council for West African Information Technology Professionals will deliver the Keynote Address at the dinner, while the 2017 edition of the association’s annual magazine called ‘The Mariner’, would be launched at the ceremony. “Also iconic GCU alumni would be conferred with Lifetime Achievement Awards. The recipients are Amb. Daniel Omatsone; Amb. 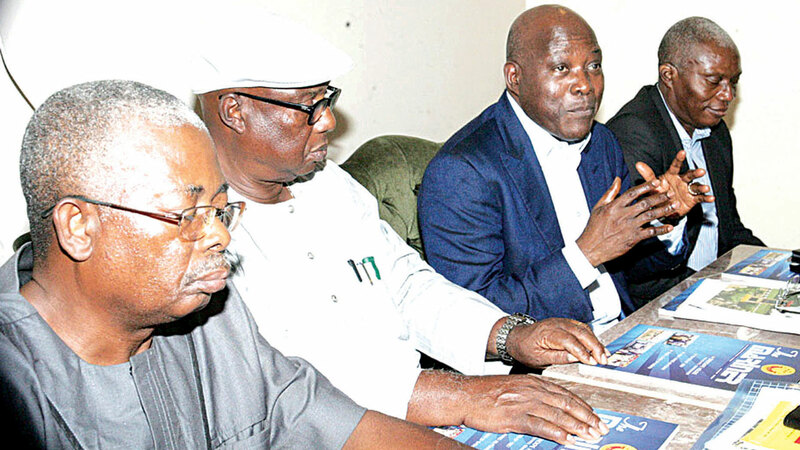 Edward Martins; Mr. Frank Longe; Prof Olu Akinyanju; Chief Amos Olaniyan; Guy Otobo; Prof. Obaro Ikime; and Dr. Titus Okereke. Alumni that will be honoured posthumously are: Mr. Ignatius Atigbi; Chief Gray Longe; Mr. Emmanuel Awala, Mr. Samuel Okudu; Mr. Meshack Akpe; Mr. Sam Akpe; Prof Alfred Opubor and Senator Fred Brume. Adamu AdamuAkinwumi AmbodeChristopher KoladeGovernment College UghelliIfeanyi Okowa.